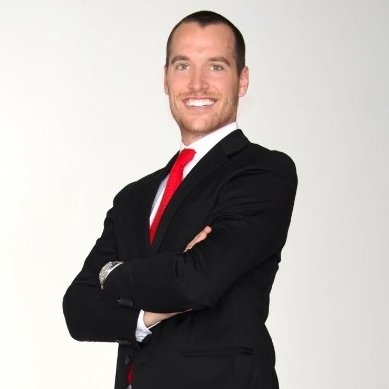 About Justin M. Rubin: Justin M. Rubin, who heads Rubin International Group at Douglas Elliman Real Estate, one of the top performing real estate brokerage groups in South Florida, has a diverse and entrepreneurial background. The Philadelphia native and long-time Miami resident is an active real estate investor in Miami and has launched a variety of companies, with Tui Lifestyle being his last successful start-up venture. Since the inception of Tui Lifestyle and throughout the years of the company’s rapid growth, Mr. Rubin developed an extraordinary network consisting of Miami Real Estate’s biggest developers, top brokers, and a multitude of high-net-worth Real Estate Buyers and Sellers. Utilizing his experience and attention to detail in building start-up organizations, coupled with his enormous network in the Miami Real Estate community, Mr. Rubin’s launch of Rubin International Group at Douglas Elliman has quickly propelled his group into being on of the top producing teams in South Florida. Mr. Rubin’s sales team at Rubin International Group has a strong reputation for beating the market and setting record-breaking sales. In 2014 alone, Rubin International Group set record sales prices in Jade Beach and Trump Palace in Sunny Isles, multiple records in Paramount Bay in Edgewater, and the Netherland Condo in South Beach. About Rubin International Group: Rubin International Group’s established relationships and proprietary database of both domestic and international private equity funds, institutional capital, sophisticated investors, real estate brokers, bankers, developers, bulk inventory owners, and other professionals in the Real Estate Industry makes the group privy to detailed and up-to-the-minute market knowledge, much of which is not available to the general public. From a single condominium as a vacation home or investment property to a bulk acquisition of 100+ residences, Rubin’s executive team’s financial, sales, administrative, and marketing backgrounds, coupled with the organization’s experience and relationships in the Miami Real Estate Market, make certain that each client is represented with experience, strength, diligence, determination, and expert negotiation tactics. When listing a client’s property for sale, Rubin International Group’s relationships enable the organization to instantly put its client’s properties in front of targeted and well-qualified buyers and brokers. At the same time, every member of the Rubin team is mobilized and works in synergy with one another to ensure that the property is effectively marketed and sold for the highest price point possible and within the client’s desired time frame.